Croatia has a range of high quality wines which are slowly attracting international attention. The global wine market is increasingly competitive, and in order to compete, Croatia has to offer quality and a little something extra. One thing which is exciting wine enthusiasts about the wines in the region is the sheer diversity of indigenous grapes – some 130 in all – and the unusual and highly unique wines that these grape varieties produce. Coupled with the successful cultivation of more internationally recognised varieties such as merlot and chardonnay, it is an exciting time to discover the wines of Croatia, with Dalmatia very much among the leading wine regions. 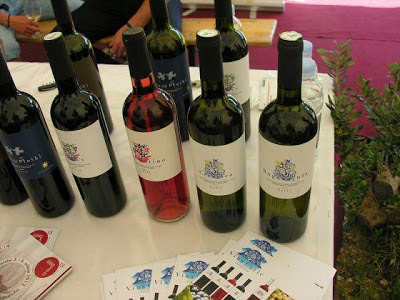 The recent Dalmacija Wine Expo in Makarska was the latest opportunity to showcase the quality produced in Dalmatia, as well as a chance for visitors to see the diversity of the grapes on offer. Many thanks to Zdravko Podolski for this excellent video tour os some of the indigenous grape varieties on show. A group of 17 wine journalists travelled to Hvar the day after the fair as guests of the Hvar Wine Association, a successful day you can read about here. With EU entry just weeks away, and a record season predicted, the Croatian National Tourist Board released a new promotional video on its Youtube channel on April 24, 2013. Entitled [i]Croatia – the New Tourism Star of the European Union[/i], the video is an extension of Ana Rucner’s Ode to Joy video, released last year, which demonstrated a marked shift in the tourist board’s approach, from its highly successful marketing approach under the slogan The Mediterranean as It Once Was to a greater focus on inland Croatia. See the original video,which won a ‘tourism Oscar’ in Berlin, below. 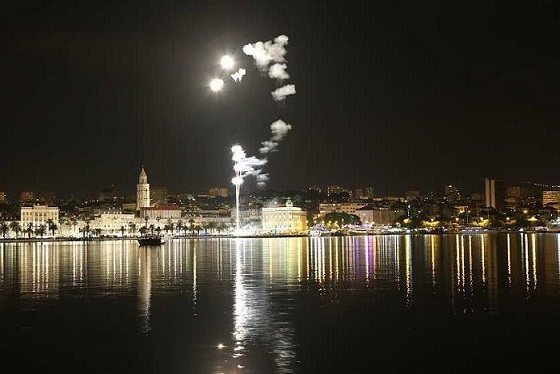 One of the highlights of the Split annual calendar is the Feast of St Domnius (or Sv. Duje), the patron saint of the city on May 7. 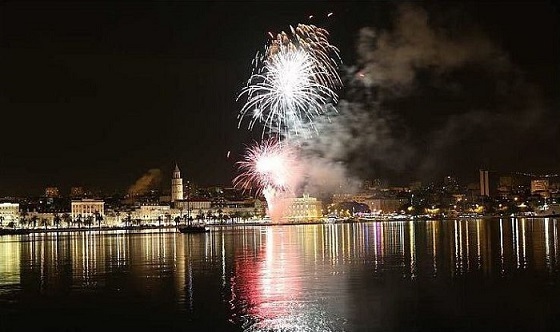 It is a day when the city really comes to life to celebrate the saint, with processions, concerts and parties. 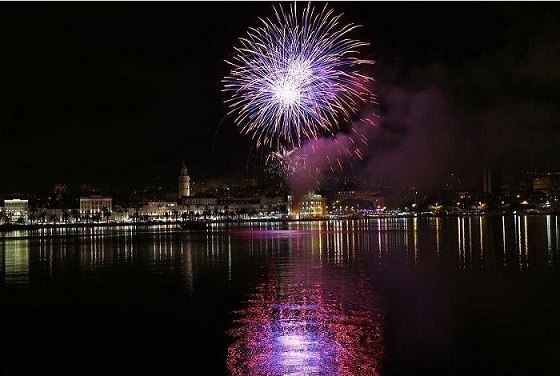 This year was no different, and one of the highlights was a magnificent fireworks display which showed the riva in all its majesty. The spectacle was superbly captured by Zvonimir Barišin, the latest in his fantastic collection of photography in Dalmatia, and we are grateful for his permission to republish. See more of Zvonimir’s work on his personal website. Time to put May 7, 2014 into your holiday diary for Split? One of the pleasures of living in Dalmatia is the chance to observe and appreciate what an outstanding place it is to bring up children. In an age of commercialism, technology and globalisation, kids are growing up faster than ever before, and peer pressure and their environment do little to allow children to grow up as they used to. 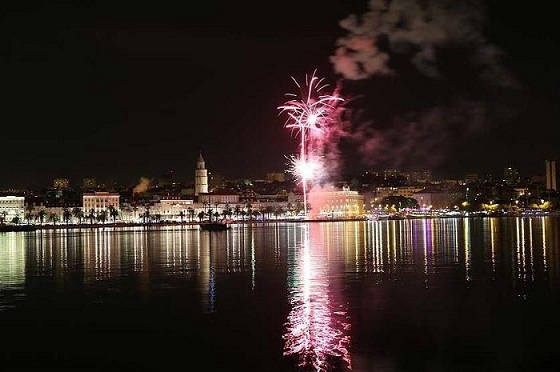 Not so in Dalmatia, and as a British father to two beautiful Dalmatian daughters, I am often struck by the good fortune we have to grow up in such a heavenly environment as the island of Hvar, for the kids especially. It is often thought that life on the islands is boring out of the season, but nothing could be further from the truth. Dalmatia is a natural paradise and a great educating ground for life skills. Having learned to swim at the age of 29, I look on with pride (and a little envy) as my two girls followed in the footsteps of their mother and learned to swim like dolphins at the age of three. Given that the world’s most alluring swimming pool – the Adriatic – is part of their daily summer routine, this is perhaps not a surprise. Coming from Manchester, it was a surprise to learn that tomatoes do not grow all year, as they do in British supermarkets. Being a city boy, I have learned many other secrets about Mother Nature in my time here, not least to appreciate the far superior quality of seasonal vegetables. So too the kids, who now know which fruit is about to come into season, and who like nothing better than to help their grandfather in the field, with the olive harvest being an annual highlight for the whole family. A natural, healthy education and communing with nature. It is hard to equate all the scare stories about child safety in other countries, when one looks around the pretty squares of Dalmatia, as children come out of kindergarten at midday to play on child-friendly squares as their parents enjoy a relaxing coffee in the sun. The tourist season brings international arrivals, and the fearless interaction of children with no common language, who become best friends in an instant, is one of the people-watching highlights of the summer. Beaches and squares apart, I am amazed at the wealth of activities available to the little ones on an island which supposedly sleeps all winter. For our two girls, 4 and 6, the weekly routine includes a mixture of rowing club, chess club, horse riding, ballet and the weekly pilgrimage to a ramshackle art studio and fabulous gardens in the village of Dol. 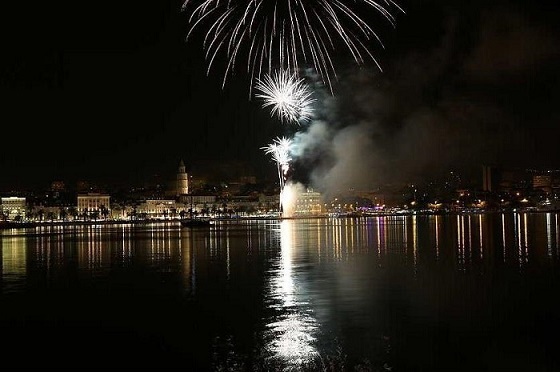 As if all that were not enough, an added bonus is the lack of commercialism in Dalmatia. I live in a town where the Christmas tree goes up in the main square in late December, and where the magic of Christmas (albeit without the snow) still exists.